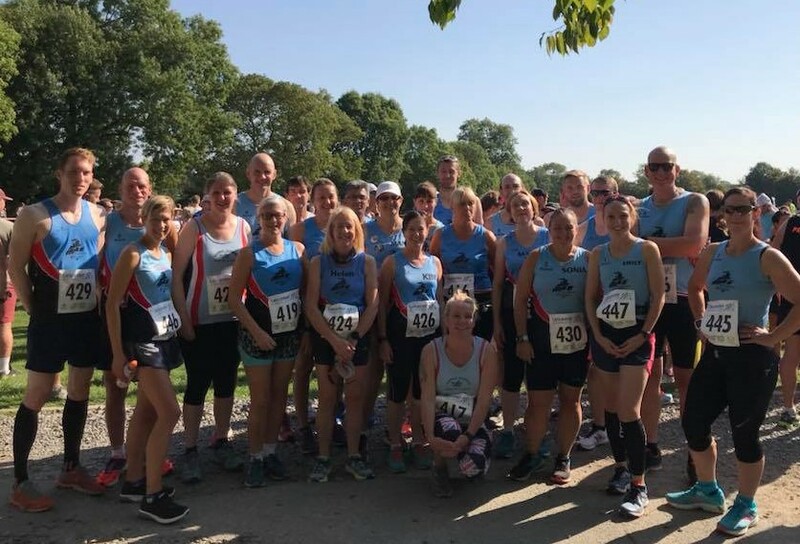 There was a good Ivanhoe turnout at the John Fraser 10 miler this weekend, marking the last of the Leicestershire Road running League races. In a weekend heatwave it turned out to be exceptionally tough conditions to an already challenging course, with hills throughout. Continuing his good form Matt Pleass again was the lead Ivanhoe runner, finishing in 1:04:43. Matt Brocklehurst came in next with 1:05:58, then Karl Wideman was third Ivanhoe in 1:08:30, a new personal best time for him. Mens captain Nick Rowles clocked 1:11:11, ahead of Andrew Stanley in 1:12:55 and Andy Jeyes with 1:14:22. Mark Bradford was next over the line (1:14:56), then Patrick Horn (1:16:03), Richard Hope (1:18:50), and Matt Joyce (1:19:45). Emily Wideman came through next as first female finisher for the club in 1:21:13, 1 second ahead of Jordan Cope with 1:21:14. Andrea Trickett clocked 1:23:29, followed by club stalwart Martin Yeomans in 1:25:32. Mukesh Deva fell on the gravel but carried on to finish in 1:30:46. Sarah Malone running with Gemma Shaw crossed the line in 1:34:04 and 1:34:05, a new PB for Gemma. Jez Millington-Pipe, in training for Rutland marathon clocked 1:35:08, ahead of Amanda Bradbury 1:35:40 and Teresa Talbot in 1:36:53. Helen Finn completed the race in 1:47:43, followed by Jayne Bradshaw 1:49:17, in a ten mile debut, then Mandy Morris knocking 3 minutes of her previous PB with 1:50:10. Janet Joyce clocked 1:56:51, with Kim Harris in 1:56:52. Sonia Hoult and Jane Bland both finished in 1:58:03, in a furthest race to date in for Jane. Marie Miller followed in 2:02:45, then Julie Henfrey completed the team in 2:15:36, having run 100% of the LRRL races this season. Elsewhere, Richard Martin ran the Wilne 10k. A fast, flat race alongside the river Derwent, reflected by some impressive finishing times by the lead runners, Richard did well with his chip time of 39:49 in position position 82. Kev Laz and Tor Meadow-Evans in ran the Kenilworth half marathon, mainly out and back route taking in the grounds of Kenilworth castle in times of 1:47:59 and 1:54:56 respectively. Finally on the Saturday, Ian Kirk completed his 82nd marathon after a 6 week break, the Harvest Hobble in the Lincolnshire Wolds, clocking a steady 5 hours 18 minutes.